The problem with puppies is that they love too much. The small puppy ball, barely a foot tall, cute as can be, eyes teeth paws and all, found us again as we left Cirali. The three of us had met the day before in a dirt street chewed up by its impending evolution to pavement, and brightened each others’ days in the dust with scratches behind ears, tiny teeth grins, and irrepressible laughter. We’d parted as friends, and were reunited as the same. But there was a problem. 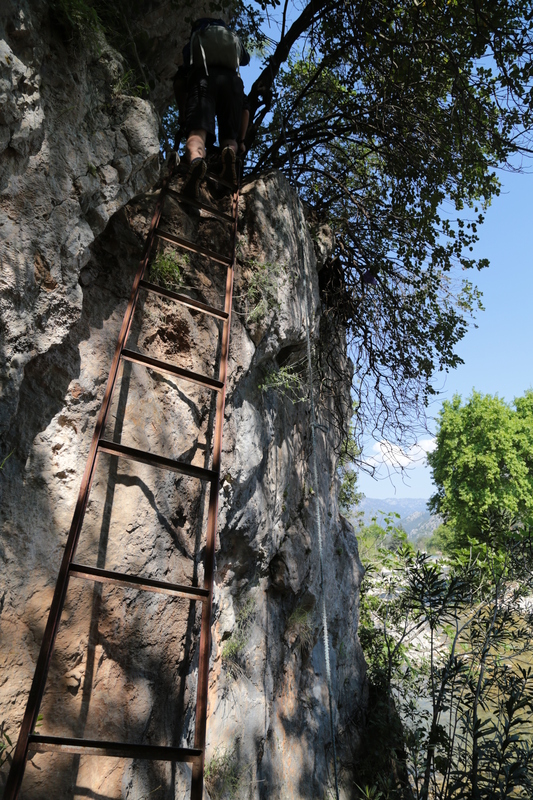 Schooled by our first episode on the Lycian Way, apprehensive in our minds and penitent in the soles, we were eager to begin the day’s estimated eight hours of walking, so could offer no more than a quick greeting. The problem with puppies, is that they love too much. Quick greetings are not in their manuals. We asked him to stay, but he followed us across the bridge. We gestured him back, but he pattered along after us toward the trail. We earnestly entreated him to return, but his oversized paws paced us on the path that took us around the riverbend. Trekking town to town with Max was one thing. He was a grown canine, clearly competent in the alleyways of the world. 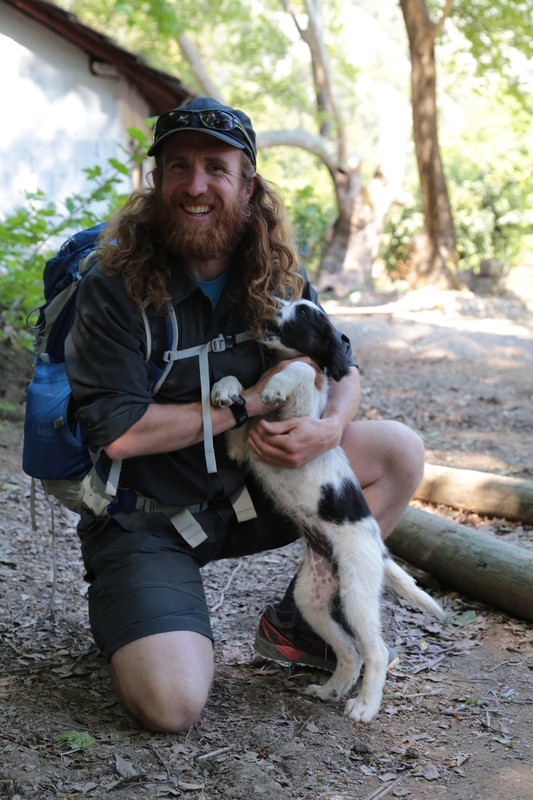 Letting a puppy trick itself into the wilderness was a whole different story. We apologized, explained, and made ourselves gruff. Tough love. The end of Harry and the Hendersons made an impression on both our childhoods, and here we were. And remember that time Marty Stouffer had to drive away his cub? That broke my heart in a way that has never been fixed. My brother thought he’d talked some sense into the wee fella…but no. All around the world, the language of humans and dogs includes the vocabulary of stooping to pick up a rock. Do that, almost anywhere, and the dog will back away, familiar with thrown stones. Not this time. Thank god this puppy hasn’t learned that lesson. But it sure would have been handy. We were at a loss as to how to leave our four legs of friendship…until we got to the ladder. Paws don’t work well on those. I don’t know how Stouffer did it, because a day after meeting this sweet-eyed lad, it was already agony to walk away from where those eyes watched us without comprehension, and hear the mournful whines that carried for a surprisingly long time. Go home, puppy! The problem with puppies, is that they’re lovable too much. That best little guy. You’ve written him up very well – I think you should name him. This was so sweet. 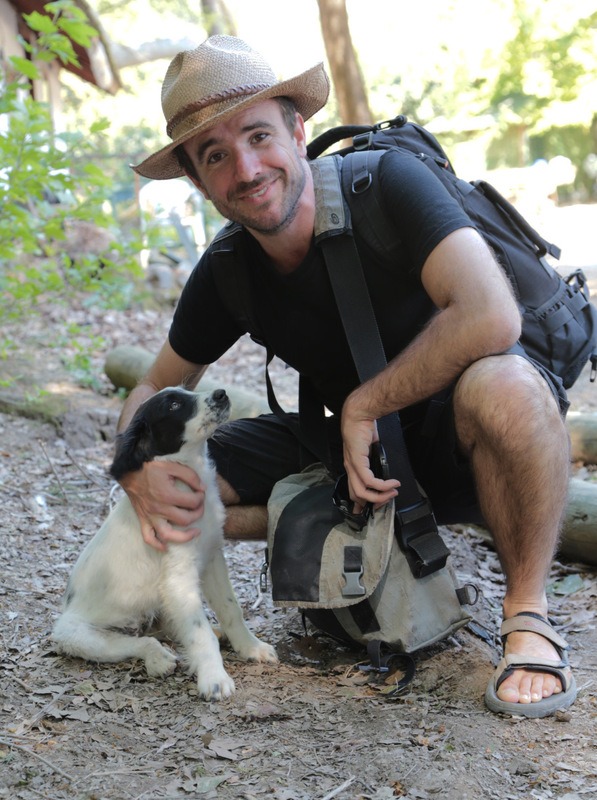 I have met lots of puppies and dogs on my travels that I have wished could come along with me! This was pretty agonising to read let alone experience.